Business income is taxed at a flat corporate tax rate of 17 percent. There are tax exemption schemes available for companies which help to lower the effective corporate tax rate at different tiers. You may refer to tax exemption scheme for new start-up companies for more information. Generally, income derived by a company is only taxable in Singapore if it is accrued in or derived from Singapore (i.e. sourced in Singapore) or is income received in Singapore from outside Singapore. Whether or not a companys trading/service income is considered Singapore-sourced is a question of fact. Where it is confirmed that the trading/service income is foreign-sourced, it would not be subject to tax in Singapore if it is not remitted to Singapore. Want to know more about GST, please refer to our GST Guide and Overview of GST. Your business income is reported separately (Form B or B1) and added to all your other personal income. The total is then subject to personal income taxes.Taxes are charged progressively (0 percent – 20 percent) on your chargeable income. Chargeable income is your business/trade income plus any other personal income, minus all deductions, reliefs and rebates. Please refer to Income tax rates?for details about the tax rate.For non-resident individuals, your employment income is taxed at 15 percent or the resident rate, whichever gives rise to a higher tax amount. 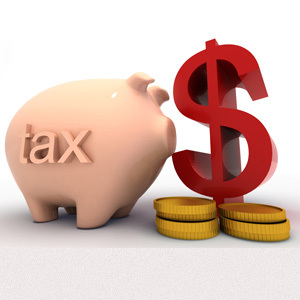 Additionally, director’s fees, consultation fees and all other income that you received will be taxed at 20 percent from YA 2005 forward.From YA 2017, the tax rates for non-resident individuals (except certain reduced final withholding tax rates) will be raised to 22% from YA 2017. This is to maintain parity between the tax rates of non-resident individuals and the top marginal tax rate of resident individuals. Click here for more information. within 30 days after the date of its receipt in Singapore if the document is signed overseas.